Call before you visit to check availability. 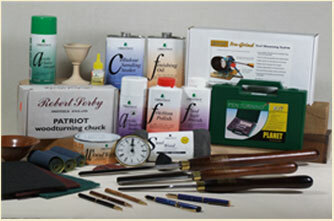 I began to stock woodturning tools to supply my students. I currently stock many items from basic turning tools, finishes, timber and miscellaneous items that a turner may well need. We are able to give customers our best advice with many years of experience helping them to make informed choices. We are agents for Hamlet Tools, Chestnut products Planet engineering and Robert Sorby,we also stock Norton and Rhyno grip Abrasives, plus much more. Please contact us to discuss your requirements, and remember to give us a call as we do not wish to miss your visit.